Your data is your data, it does not leave your phone unless you ask for it and we cannot see it. 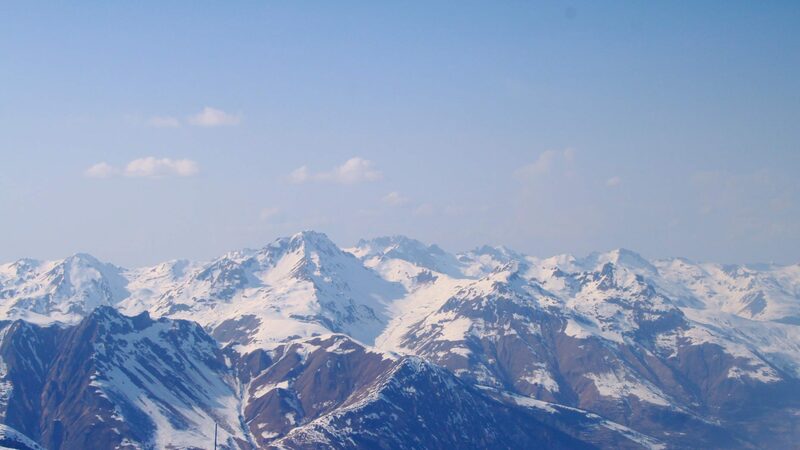 Knomee was created with two principles : (1) Self-tracking requires sense not to become rapidly boring (and self-tracking is good to you, this is a scientific statement) (2) We are all different, self-tracking needs to be fully customizable and becomes extremely personal when relevant. Hence "data privacy" is not a feature, it is the reason for delivering this app, with "nothing on the cloud" and "everything on the phone". Notice that if you lose your phone, your data is lost as well. All data stored in your phone is visible to you and you can edit it. There is complete consistency between what you see and what Knomee uses for its insights, its forecasts and its analysis. This a great principle from GDPR : you know exactly what the apps store and uses. Note that it makes the app slightly more complex than most trackers. It obviously comes from the ability to customize each quest to you exact liking ... but it is also the reason for the rich data visualization that is available with Knomee. All data that is stored in Knomee can returned to you if you desire, through an email that contains your data in an open format. Measure data is sent in a CSV file that may be uploaded into any tool, such as Excel (TM). Quests are exported as a human-readable JSON string for better interoperability. This was a strong request from our early users ... and it gives you peace of mind since if you decide to stop using Knomee, you can keep all your accumulated data. 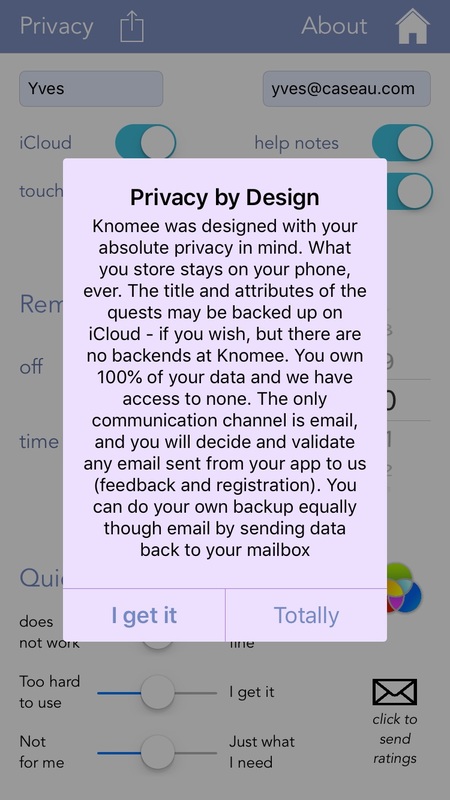 Knomee uses four services from iOS that requires your authorization since they have an impact on your privacy : geolocation, iCloud, notification and HealthKit. Not only Knomee follows strictly Apple's guidelines and asks for your approval before using any of these features, the home screen shows at once if you are using any of these, making it easy to understand what Knomee is doing and to change your mind. Knomee has a data privacy officer and chief algorithm officer. Our intent is to share our algorithms with the scientific community and to get them published. Although Knomee uses reinforcement machine learning, it also uses a framework (EMLA) that makes all its algorithms safe and auditable.